SDK reports that Big Brother Naija 2017 reality Star TBoss has fallen pregnant for her fellow realty star Uti Nwachukwu (of Big brother Africa fame)and she is in the second trimester of their pregnancy. According to insiders,the love struck couple have been dating off/on secretly for over a year have been planning to secretly walk down the aisle when TBoss fell pregnant and lover boy Uti was thrown off balance…. 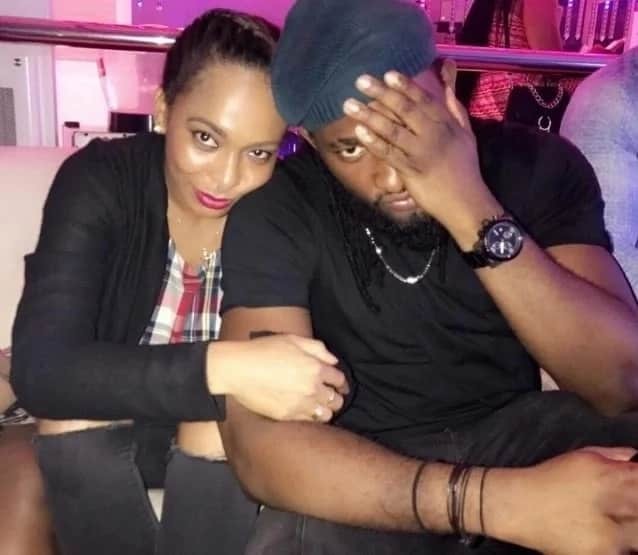 Insiders say lover boy Uti maybe somewhat singing a different tune as he has been telling those close to him who have been calling to confirm since the rumour quietly broke that he is not the one while his lover girl TBoss is not answering those asking her questions. The Response was ”Who does not have a Skeleton in their cupboard?I don’t know about their issues with rumours trailing them but i know they are expecting a child”. However, SDK Blog claimed to have confirmed the rumours. But, it is possible that they may both deny this further as TBoss has been posting denials since last night on her instagram handle.